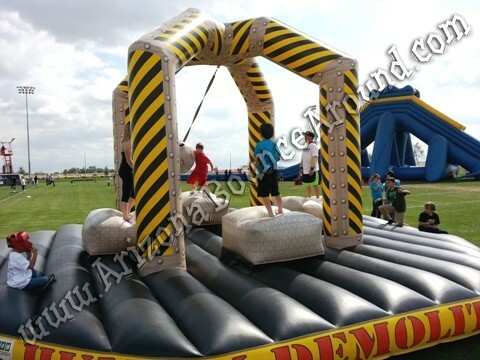 This Inflatable Human Demolition Wrecking Ball Game is Similar to a 4 person gladiator joust game. 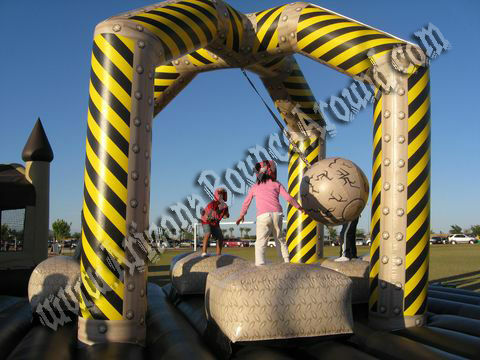 This inflatable wrecking ball game will be a big hit at your event and can handle kids or adults so it's perfect for company parties and events. Visually outstanding art work and a huge Inflatable wrecking ball. It's survival of the fittest. Be sure to check out the Meltdown game that will go great with this wrecking ball. 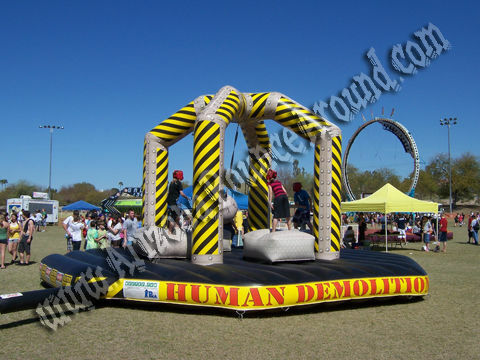 This Human Demolition Wrecking Ball game features 4 inflatable pedestals and a huge inflatable wrecking ball with beautiful art work. This game is huge and will draw a big crowd at you party or event. Leave it to Gravity Play Events to have all the cool Interactive Inflatables capable of handling large volumes of people as 4 can play this game at the same time. 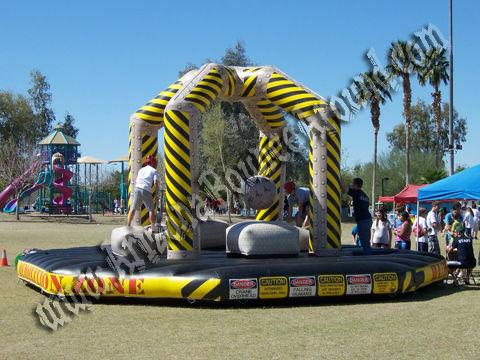 Add a strobe light or Professional Fog Machine for an even better gladiator compitition. 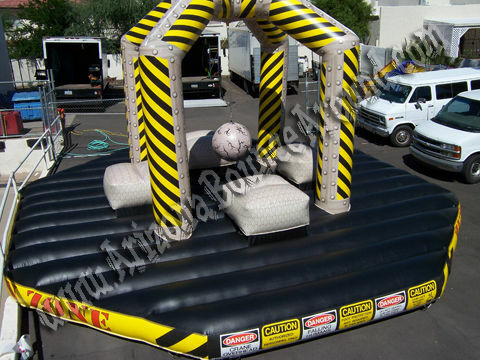 This inflatable wrecking ball game rental price includes standard set up. Standard setup is considered a real grass area that we can stake into the ground. Within 80 feet of sufficient electrical supply. Delivery and removal within included delivery area with no restrictions for delivery, set up or pickup. 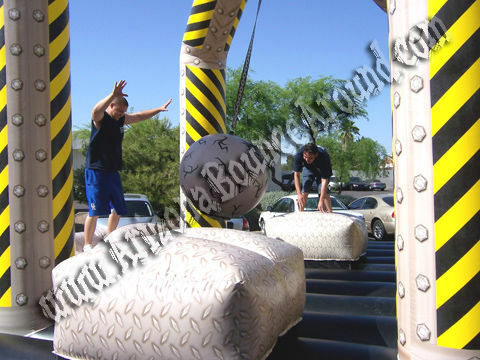 We do not install this wrecking ball game on dirt or sand but it can be setup on asphalt, concrete or artificial grass by adding sand bags to your order.